In today’s global world, there are few quoted companies where ownership is prescribed by national laws. Paradoxically, given the international nature of their operations, airlines are one of them. The United States requirement is that airlines must be 75 per cent domestically owned, and in Europe the figure is 50 per cent. These rules are among the reasons that an ambitious British Airways was never able to gain control of the former US Airways, where it once held a substantial stake, or forge a merger with American Airlines. Instead BA had to opt for the far weaker connection of so-called ‘code sharing’, where the passenger is never quite sure of which carrier is being booked. 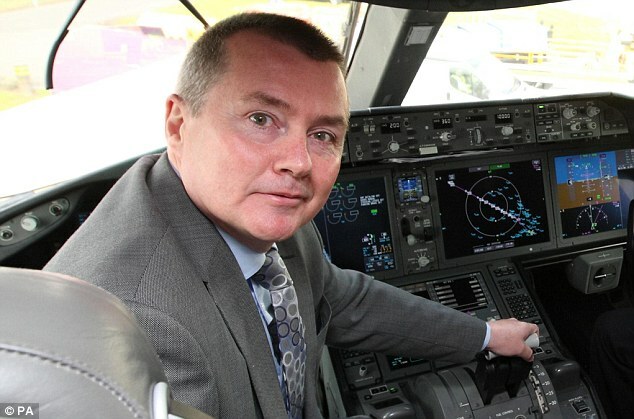 Willie Walsh, the chief executive of International Airlines Group, owner of BA, has been confident that when Britain leaves the EU his company can skip around the ownership rule. After all, IAG is based in Madrid, holds its annual meeting there and is technically a listed-UK firm resident abroad. Now we learn this isn’t the case. For the moment, it is making an effort to reshape the share register to prevent non-Europeans buying into IAG. One problem is that Qatar Airways, a non-European owner, has a chunky 21.5 per cent stake. For the moment, UK investors, including some smaller ones who may have bought shares on privatisation in 1987, are, as EU members, still able to hold the stock. What happens after transition from the EU is anyone’s guess. We could be in the odd situation of British citizens unable to own stock in the flag carrier. Mrs Thatcher would be appalled. When government manages to lift its eyes beyond the immediate term, the benefit to society can be enormous. As a result of recommendations made by Lord Turner’s Pensions Commission, some 10m workers have been automatically enrolled in new retirement funds. The system is far from ideal because, as pensions guru Baroness Altmann points out, provision for the lowest paid – especially women – is all but non-existent. Contrast the pensions poverty of this group and the modest prospects of those now in new pensions schemes with the eye-popping arrangements made by the best-paid people in society. It has become custom for any FTSE 100 companies to reward boardroom fat cats, who long ago exceeded the lifetime tax allowance, with big cash payments in lieu. Legal & General Investment Management (LGIM) and governance mavens at the Investment Association are planning to stamp down on the abuse, which is just an excuse to hand out goodies to overpaid panjandrums. Among those identified as the biggest pension-cash offenders are Reckitt Benckiser, where the payments represent 30 per cent of salary. Standard Chartered pays 40 per cent of salary and at Lloyds Banking Group – where Antonio Horta-Osorio is in charge – the pensions cash is an astounding 46 per cent of salary. The contrast between the payments to ordinary employees and those at the very top is what really hurts. Multiples of the salaries of chief executives to ordinary workers have skyrocketed, and currently stand at 312 to one. What is even more galling is that while the real incomes of most ordinary workers were flat or worse over the past decade, top directors insulated themselves from the pain. LGIM and the Investment Association want to see the pension payments to those at the top aligned with those to ordinary workers. That would be a good start. But with pay levels so grotesquely out of line with those in the call centres, on the shopfloor and elsewhere, it would still mean outsized cash payments in lieu of pensions. So there is still much to do to make the system fairer. It has long been my theory that Sports Direct founder Mike Ashley’s assault on the High Street is as much about property as brands. So it is fascinating that Property Week reports than the Newcastle United proprietor has just sold a four-acre undeveloped site, adjacent to St James’ Park, for a cool £120million. The mixed development is to be used to build offices, one and two-bedroom apartments and student accommodation. An indication of the fate which, perhaps, awaits some underwhelming House of Fraser and Debenhams outlets.